Remember when sushi was exotic? Has it been a while since you thought of it as cold dead fish? That was probably before it became popular enough to cause endangerment of species. 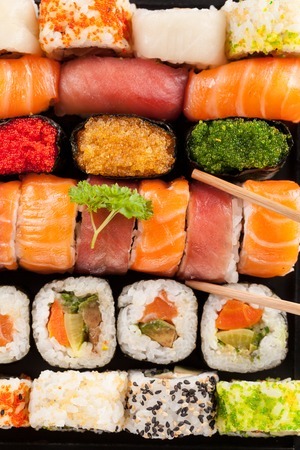 Today, sushi might be a treat, but as Americans we no longer look at it as alien – we’ve come to appreciate the colors, textures and flavors shared by our Asian friends. Over the last 26 days, I’ve had the privilege of traveling to 11 different cities in Australia and Asia, and I’ve had my share of exotic food (by American standards). But, aside from cultural experiences, Asian perspectives helped me learn to look at identity governance in a new light. In my travels throughout North America and Europe, I’ve noticed that identity governance has dominated the Identity and Access Management landscape. Heavier regulations in North America and Europe have been the biggest driver of a compliance-driven approach to identity. The analyst firm Gartner merged the topics in its Magic Quadrant for Identity Governance and Administration (IGA), first released in late 2013. And Forrester released a Wave report for Identity Management and Governance (IMG) earlier this year, providing some consensus on the state of the biggest markets for governance. That sense of trust without strong enforcement, however, is being tested by recent events. I happened to be in Manila when the news broke that Rizal Commercial Banking Corporation (RCBC) paid a 500 million peso (~$10.7M USD) fine to Philippine regulators, which was only half of the penalty for the role that the bank played in the 2016 Bangladesh Bank heist. In addition to the fines, the attack has cost the jobs of high-ranking members of the banks. The FBI believes that insiders had a role to play in obtaining the credentials for payment transfers that were used to perpetrate the crime. And that has led to the realization that better management of credentials – minimizing rights through identity governance – is an important control in the fight against fraud. In Japan, there was still a sense of shock that two Japanese men participated in an ATM heist that resulted in a loss of 1.4B yen ($13M USD) in May 2016. It is events like these that are changing the sense of isolation in Asia and introducing a realization that global interconnectedness means global vulnerabilities. As the demand for identity governance in Asian companies grows, the key differentiator is that it’s going to come from a need to reduce risk. For North American and European companies, identity governance will still function primarily as a means to satisfy auditors and regulators for the foreseeable future, creating a false sense of security. The challenge is that identity governance typically relies on business managers to certify access to sensitive systems. Those business managers neither understand, nor care much about risk, and while they rubber-stamp their attestations to satisfy auditors, there is little risk reduction occurring as a result. The Asian companies that I met with have little interest in a compliance charade, because that isn’t the challenge that they need to solve. They are interested in how identity governance can be used to enforce separation of duties, and discover and eliminate excessive entitlements. Like learning to appreciate different Asian perspectives in food, we could learn to shift the focus of identity governance from compliance to risk management.